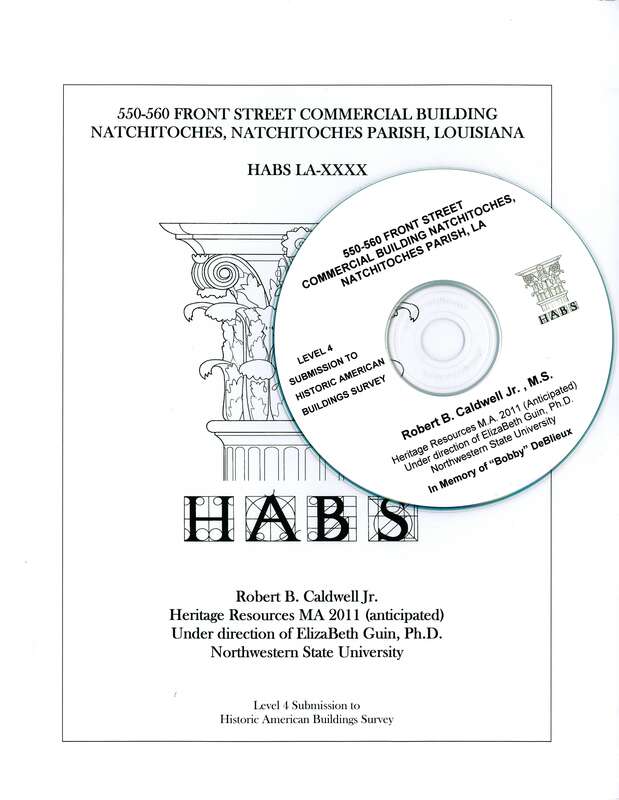 I completed a detailed Level IV HABS report on 550-560 Front Street (DeBlieux) Commerical Building in Natchitoches. The report has been submitted to the Library of Congress. 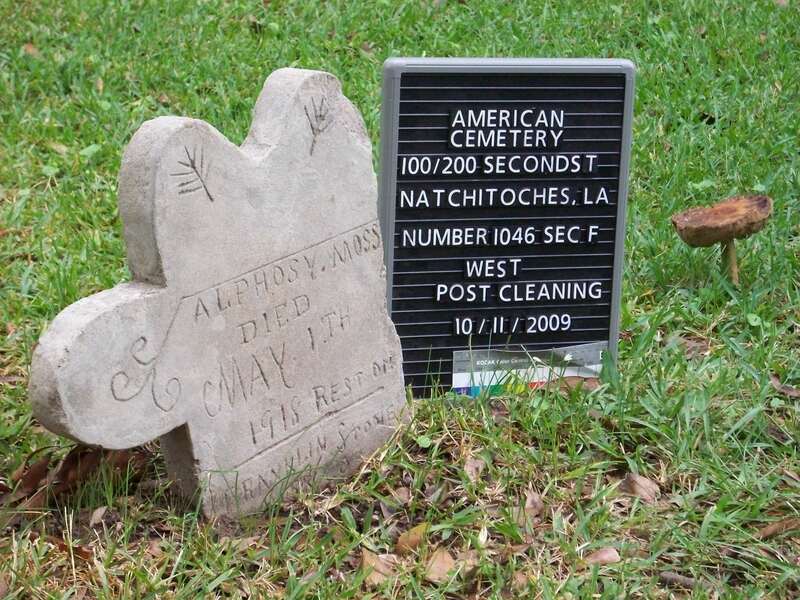 I practice proper Cemetery care and grave marker cleaning methods. 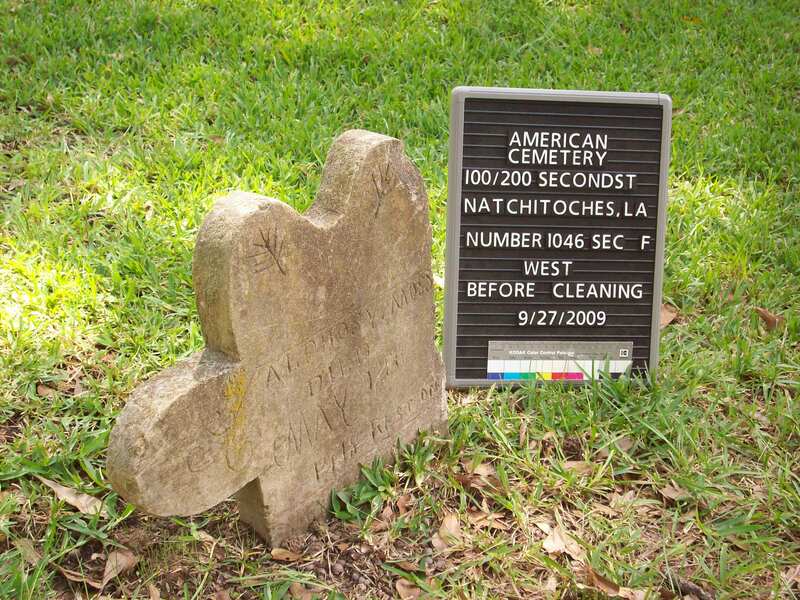 I learned these skills from Dr. Elizabeth Guin and put them to the test at American Cemetery in Natchitoches, LA. 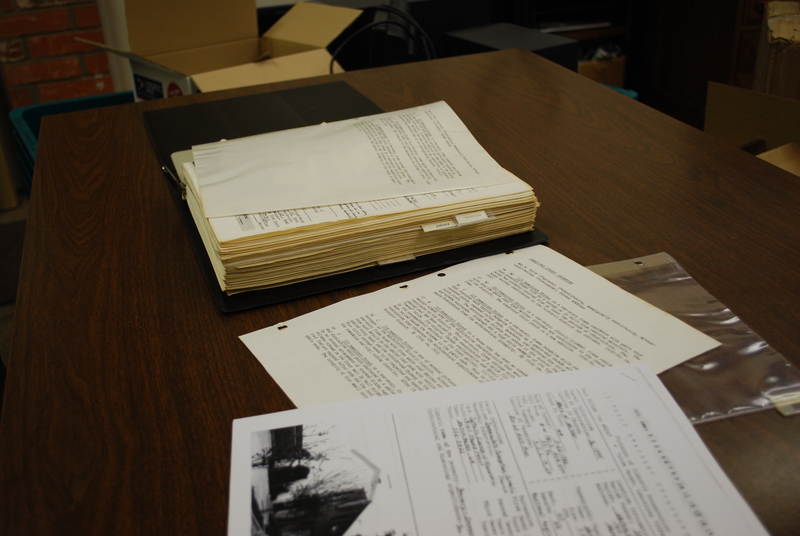 I also participated in the Oakland Cemetery tornado damage documentation for FEMA Assessment. November 2009. 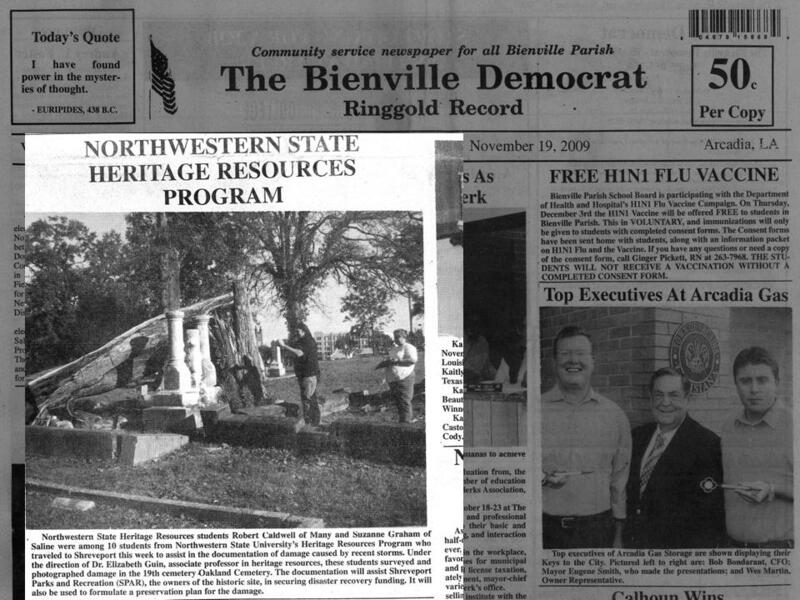 I completed the Historic Landmark District Survey Digitization Project for the Cane River National Heritage Area and City of Natchitoches planning office in early summer 2010.